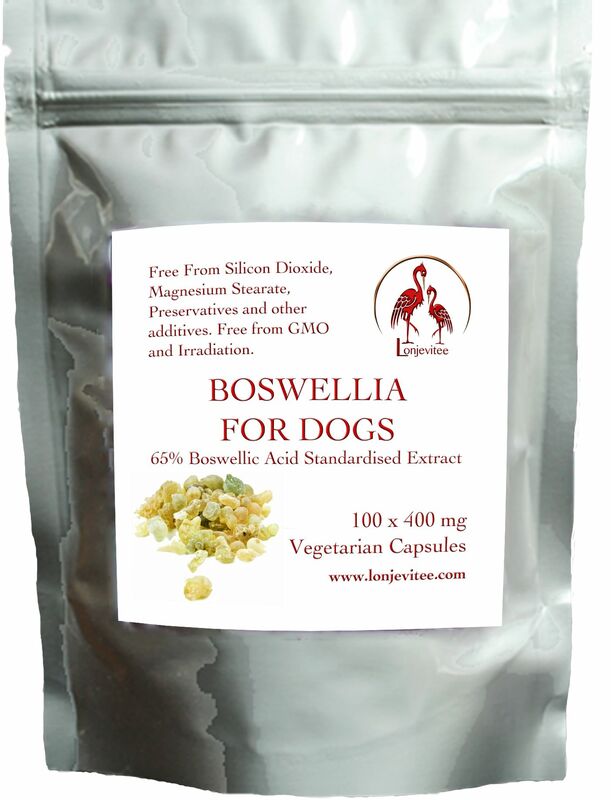 These capsules are exclusive to Lonjevitee and they bring you the best and most pure Boswellia available to help you support and maintain the health of your dog. The 400 mg capsules are ideal for larger and giant breeds. Give one capsule 2 or 3 times a day for effective support. 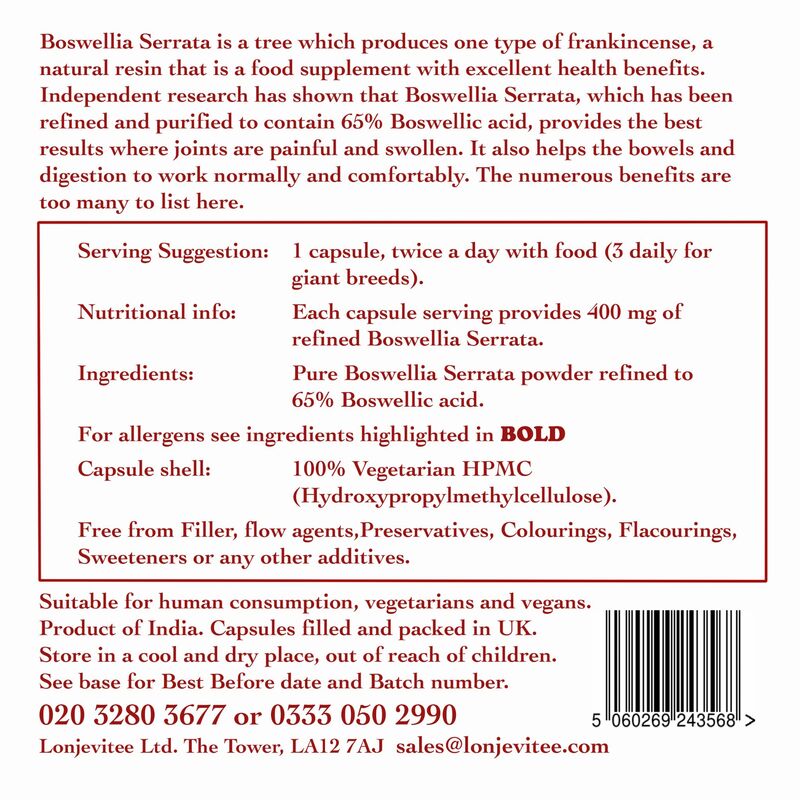 Suggestion: For owners who prefer not to give their dogs capsules to swallow, the Boswellia for Dogs Loose Powder can be mixed with daily feed and is accepted well by most dogs. Packaged in the UK by Lonjevitee Ltd.